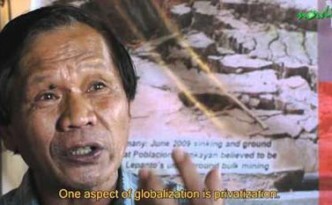 The greed of capitalism has focused on taking away the resources of the Filipino indigenous peoples. Now being forced into a corner for a last stand the Indigenous peoples are marching to the Capital City to show the APEC delegates and leaders they mean to stand strong “for the defense of our resources, our environment and our culture”. The Community Health Services and Training in the Cordillera region (Chestcore) held a First Aid Training for selected participants of the Martsa ti Amianan last November 12, 2015. 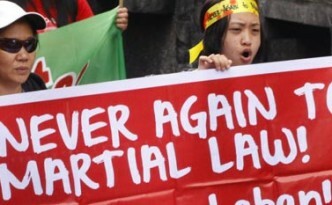 The Martsa ti Amianan is a North Luzon wide protest action that will be joined by different people’s organizations in Northern Luzon. 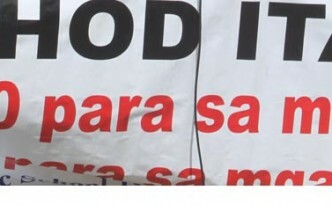 Piston Metro Baguio lead a picket protest against the Public Utility Jeepney Modernization program that will result in the phaseout of jeepneys. They held the protest in front of the Department of Transportation and Communication. Engineer Aniceto and Santos Mero explain a lurking threat of great disaster underneath Itogon, Benguet. Furthermore, they hold Benguet Corp and the Mines and Geosciences Bureau accountable for this. 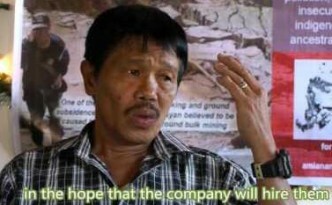 First, Benguet Corp. for its irresponsible mining practice. Second, the MGB because of its inability to closely monitor mining companies. The Alliance of Concerned Teachers talk on the salary increase during a press conference at Teacher’s Camp, Baguio City on October 30, 2015. 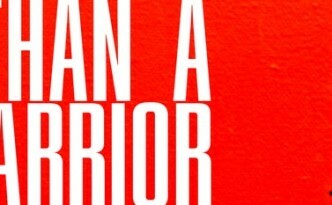 Book launch of “More than a Red Warrior” at the Bulwagang Juan Luna, University of the Philippines Baguio last October 10, 2015. Church leaders and workers, various people’s organizations, and individuals launched the Baguio-Benguet People’s Watch (BB-PW) to monitor the forthcoming 2016 elections movement at the CRC Hall, Bishop’s House on September 25. Activists march down Session Road to People’s Park in Baguio City during the 43rd anniversary of the declaration of Martial Law last September 21. They condemn the continuing human rights of the administration of Pres. Benigno S. Aquino III (PNoy) which is almost like the regime of former dictator Ferdinand Marcos. Victims or survivors of Martial Law also shared their experience and together with the younger activists have vowed to oppose the resurgence of a dictatorship regime. 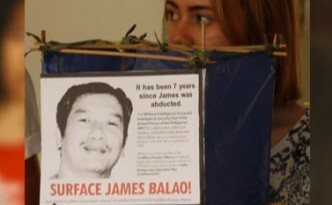 James Balao remains missing. The search continues.